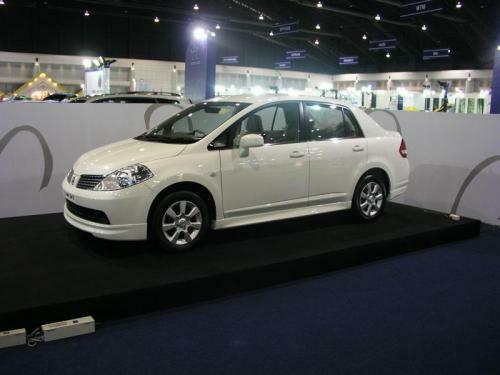 More Thailand International Motor Expo 2006 Photos - Nissan Tiida prize car. Submitted by peter on 8 December, 2006 - 19:52. If you buy a car at the show you stand a chance of winning this Nissan Tiida. I had a good look at one at the show, and I was pretty impressed. Not the best looking car ever, but practical and good value for money.